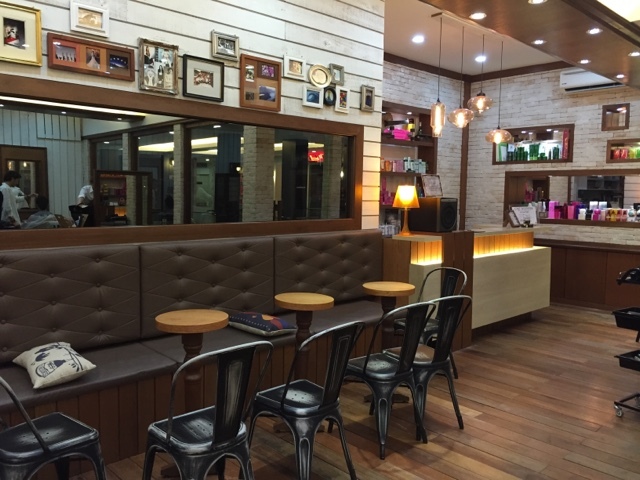 In my 9 years living in KL, I have not encountered a salon worth blogging about, despite trying several different ones. 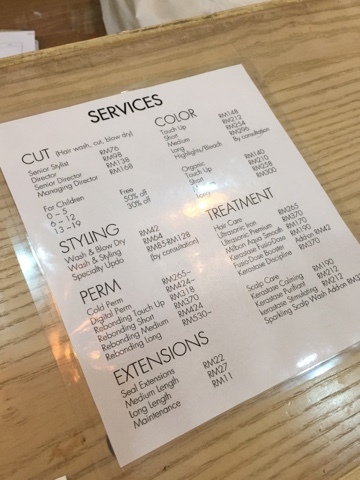 For expats like me, it is hard to find the right salon, and I can imagine especially for newcomers who will be overwhelmed by the amount of salons in the Klang Valley! 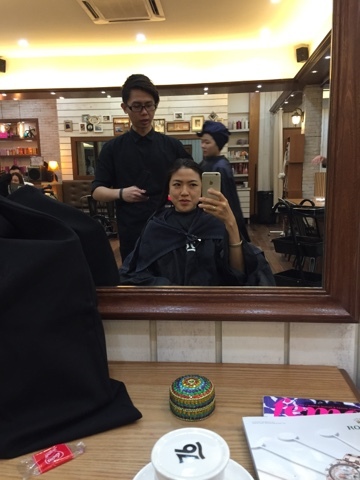 Though there are many salons out there, not all shops are equipped with the latest knowledge on trends. 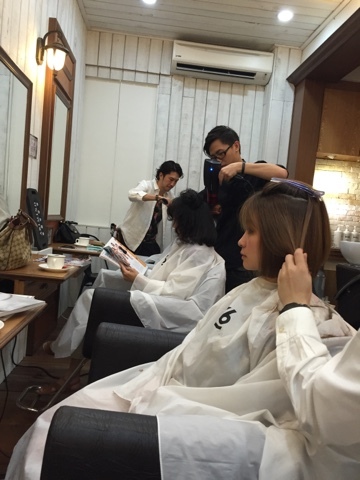 After having a good-hair-gone-bad experience due to my last digital perm at a Korean salon in Desa Sri Hartamas area (this happened in January 2015), I decided it is time to go back to Number 76 Salon and see what they can do for me. 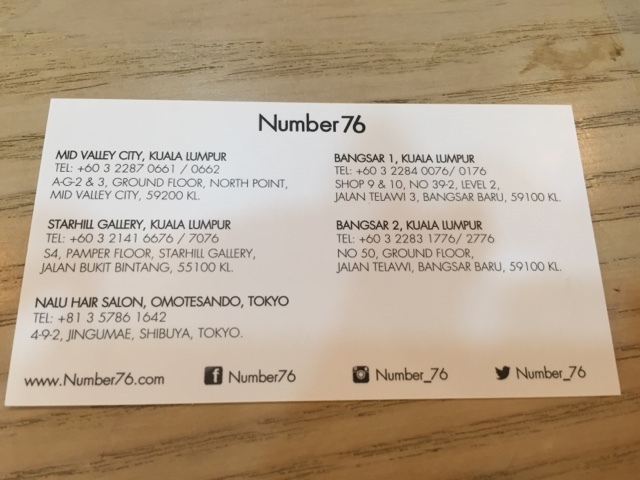 A few weeks ago I visited their Salon 76 at Mid Valley and loved the interiors of the place. 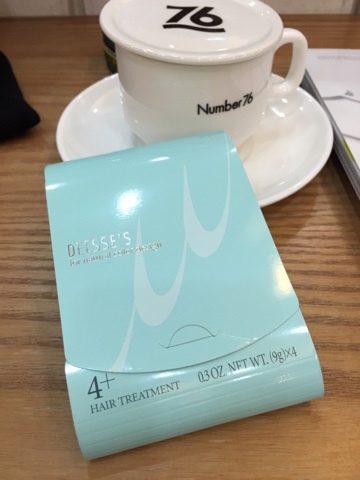 I did the ultrasonic treatment there and learned about the many outlets they have. I registered via an iPad (very modern way of registering!). Definitely a cool place! The treatment smelled nice, however I think I made a mistake by going there a week before I went off for my Krabi holidays. Anyway, fast forward to today -- I am curious what Mr. Yoshi could do for me so I can achieve a better looking hairstyle. And like I said, I am in search of a reliable and trustworthy salon to help take care of my tresses. I parked at Bangsar Village 1 and walked across the street to TELAWI SQUARE (at the bottom of the square is Tous Les Jours bakery). Take the escalator up two flights and there you will see it immediately. It's funny that there are 2-3 (or maybe more) salons in that same building. 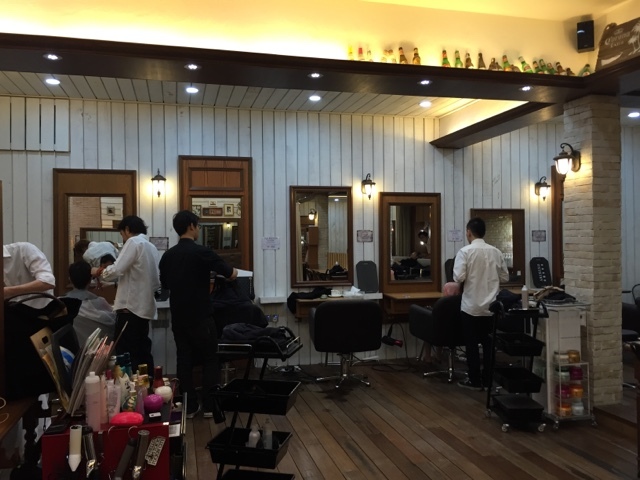 I noticed that on a weekday (I went on Thursday 10am appointment , finished by 1pm) that all other salons were almost empty, save for one customer. Business is slow nowadays especially after the GST implementation by the government of Malaysia. 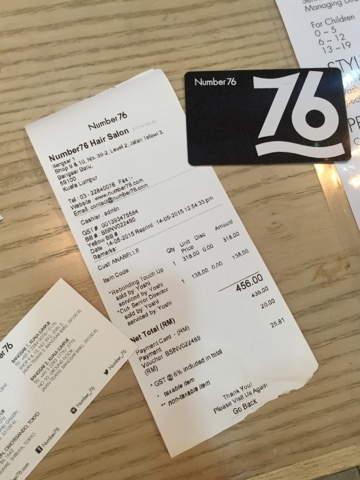 Or perhaps Number 76 Salon is just really good -- they had customers walking in and out in the whole time I was there. They have many regular customers and I don't wonder why. They treat customers with respect, they greet (in Japanese), serve tea and biscuits, kept the place modern and clean. No wonder they have a huge following (on their Instagram HERE). 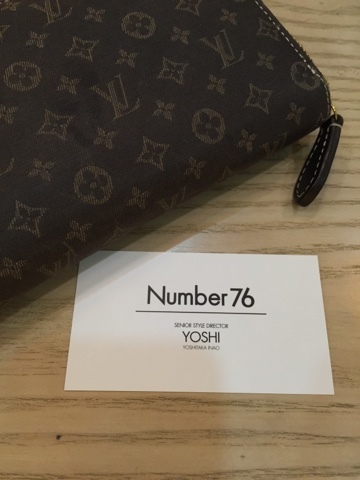 Yoshi was very patient with me, asked me lots of questions, and you could really see that he wanted to be sure that he understood the hairstyle you aim to achieve. He is Japanese, and he has good command of English so it was a breeze to sort of tell him my dilemma. 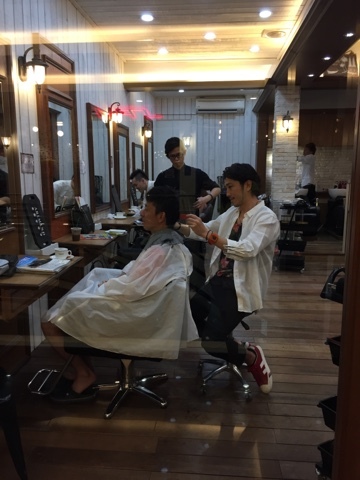 In the short span of time that I was there in the salon, I could see many regular customers who came to see him, and I could understand why. 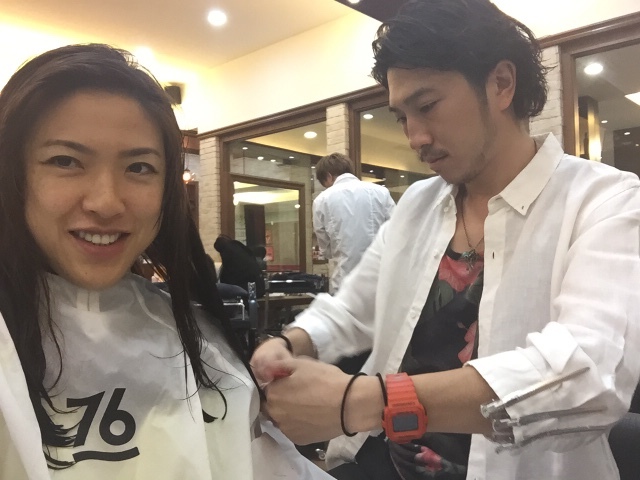 He is a nice guy and seems like someone who aims to create beauty and satisfaction. 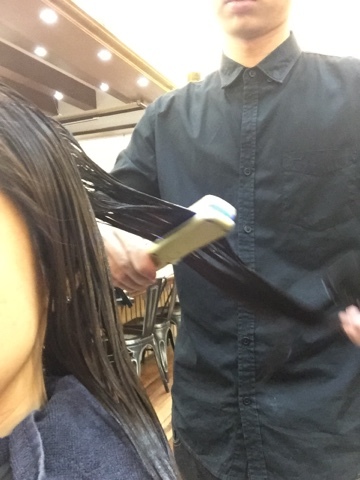 To correct the nightmare perm I had : he suggested to relax (straighten my hair) , do haircut and the Ultrasonic Treatment. I have before and after photos down below... and yes I was satisfied with his suggestion. The Ultrasonic Treatment is very different from other stuff that salons offer. They use a special equipment to "SEAL" the treatment into the hair shafts. You could feel the difference after they wash off the treatment -- so I guess it is effective. 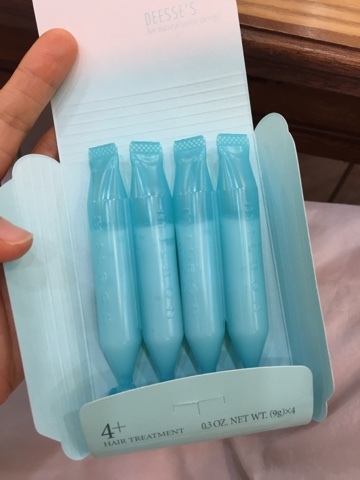 They also give extra vials of treatments for your post treatment -- one vial per week to maintain it. Overall 'damage' to the wallet is about RM 456 for everything. I had the 10am appointment and finished by 1pm. Voila! 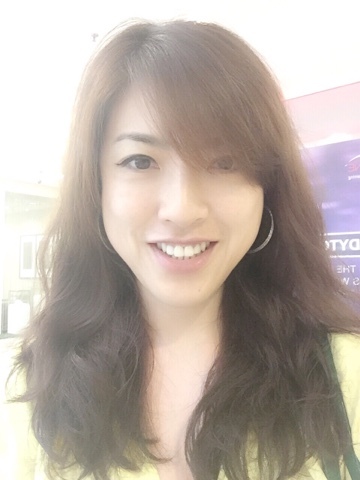 The result after Yoshi relaxed the too-curly-perm I had earlier. 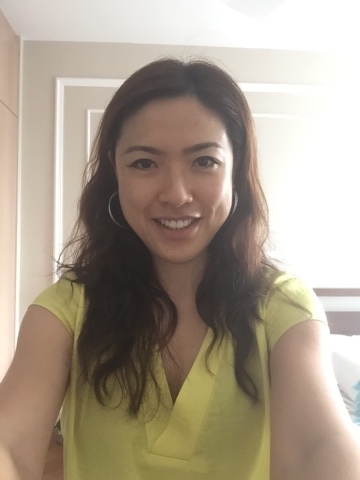 This hairstyle was just quick blowdry with fingers. They didn't use the brush to do a hard dry with curls. Wanted to see how it looked like ACTUALLY if I did dry it myself next time. Having been to both Mid Valley and Bangsar 1, I preferred Bangsar. The Mid Valley one is bigger space, while Bangsar is smaller. 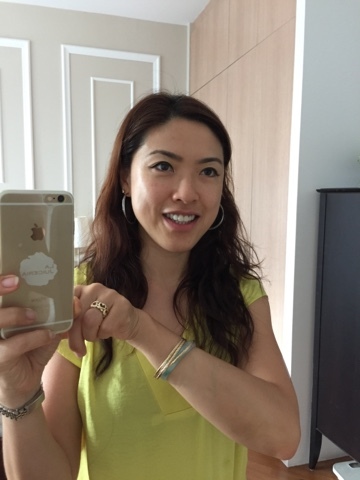 I feel more welcome and at ease in Bangsar -- as I was in the hands of an expert. Will surely be back for more. 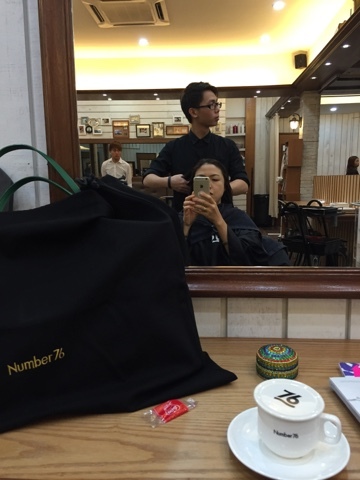 Finally, a salon I can come back to. 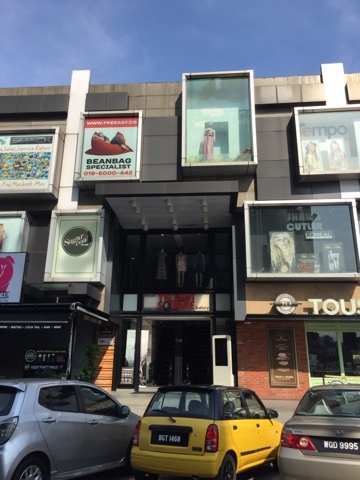 Located inside Telawi Square, a corner lot facing the Bangsar Village shopping mall. 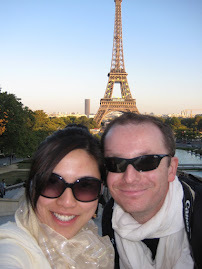 From the Tous Les Jours bakery by the corner, take the escalator up twice and head towards right.